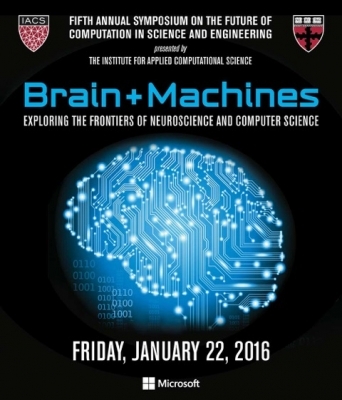 On Friday, January 22, 2016 I attended a very interesting symposium organised by Harvard University Institute for Computational Science on “BRAIN + MACHINES: EXPLORING THE FRONTIERS OF NEUROSCIENCE AND COMPUTER SCIENCE”. Although it fell outside my main research fields, I found it very interesting and enlightening. 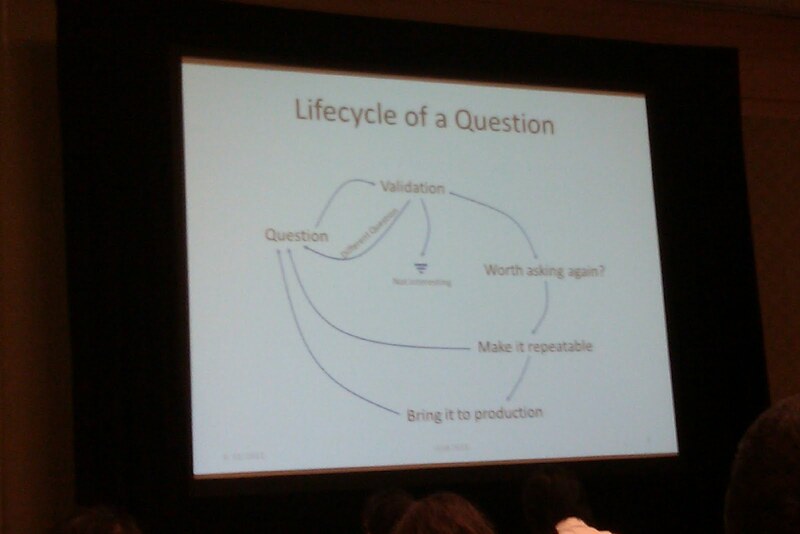 And the discussed topics could also imply some crucial role for modelling practices. The introductory speech by David Cox, addressed the role and span of brain studies. First, he pointed out that when we say we want to study the brain, at a deep level, we say we want to study ourselves. Indeed, we all perceive human species is special. But why is that? We are not the biggest, longest-living, most numerous, most adapted species. We simply cover a niche, as any other species. What’s special about us is the complexity, not in general sense (nature is plenty of complexity), but specifically complexity of our brain. Our brain includes 100 billions neutrons, and 100 trillions connections. We are able to deal with complex information in incredible ways, because each neuron is actually a small computer, and globally our brain is enormously more powerful than any computer built so far. We therefore build clusters of computers. But this is still not enough to obtain the brain power, we need to understand how brain works, to treat and replicate it. Typical and crucial problems include to study: vision and image processing, positioning and mobility, and so on. That’s where I think modelling can play a crucial role here. As we clearly pointed out in our book Model-driven Development in Practice, modelling and abstraction is a natural way of working for our brain. And I got confirmation from renowned luminaries from Harvard today. I really think that, should we discover the modelling approaches of our mind, we could disclose a lot of important aspects of several research fields. we could replicate these processes and apply modelling techniques for improving, transforming and exploiting such models. This would pave the way to infinite applications and researches. However, one big challenge opens up for the modelling community: are we able to deal with models including trillions of items?? Any further insights on this? If you want further details on the event, checkout the official website of the symposium here and my storified social media report here. As part of the Data Management in the Social Semantic Web workshop (DMSSW workshop) at the ASONAM 2012 conference in Istanbul, Turkey, V.S. 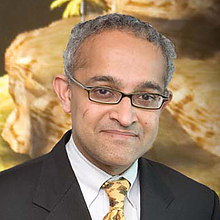 Subrahmanian (University of Maryland) gave an interesting talk on efficient subgraph matching on (social) networks. Queries are defined as graphs themselves, with some of the places defined as constants and some defined as variables. The complexity of queries over graphs is high, due to the large number of joins to be performed even in case of fairly simple queries. The size of the query is typically relatively small with respect to the entire dataset (network). The proposed approaches are useful for scale of at least tens of millions of nodes in the network. The mechanism implemented is called DOGMA index and applies an algorithm called K-merge. The algorithm builds a hierarchical index where I put at most K nodes of the graph in each index item. For obtaining that, I merge together connected nodes.You can do that randomly or more intelligently by trying to minimizing connections between nodes in different index items. 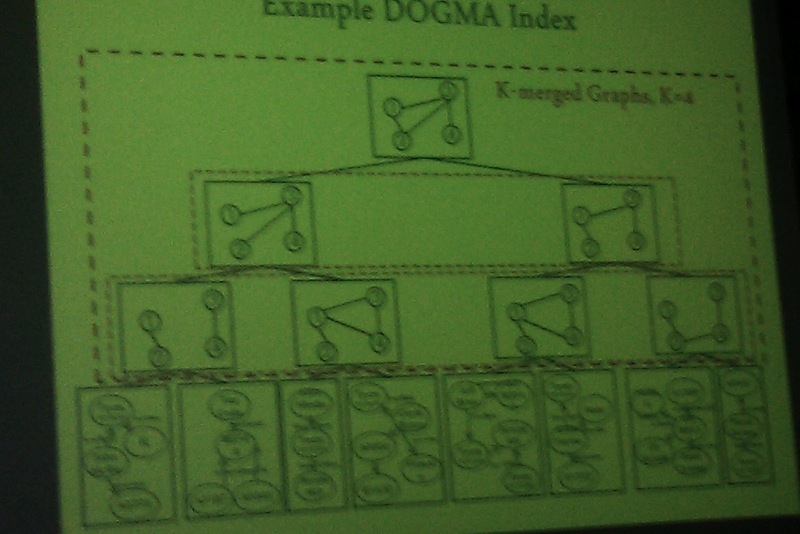 Example of DOGMA Index, where nodes of the original network (at the bottom) are merged in higher level representations in the level above (in this example, K = 4, since we have 4 nodes in each index position). I don’t want to build the index by partitioning the whole graph, because it’s painful for large graphs. I start from a G0 graph, and I merge nodes until I get G1, G2, Gn graphs, each of them is more or less half the size of the previous, until Gn has K nodes or less. Then, I build the dogma index over Gn. For the query, I can use a basic approach: identify the variable nodes that are immediately close to a constant node, and then find the possible satisfying values for those variables, starting from the constants. I can apply conditions considering distance constraints between constants and variables, as well as between candidate variable names. To allow this, I also save in every node of the index the distance of closest node in the other nodes. This approach has been also implemented in the cloud, through the so called COSI Architecture, assuming a cloud of k+1 computing nodes. The implementation of the edge cuts that generates the index must be very quick and produce fairly good cuts (but not necessarily optimal). The image below lists some of the references to S.V. works on the topic. Some references to V.S. Subrahmanian works on subgraph matching.